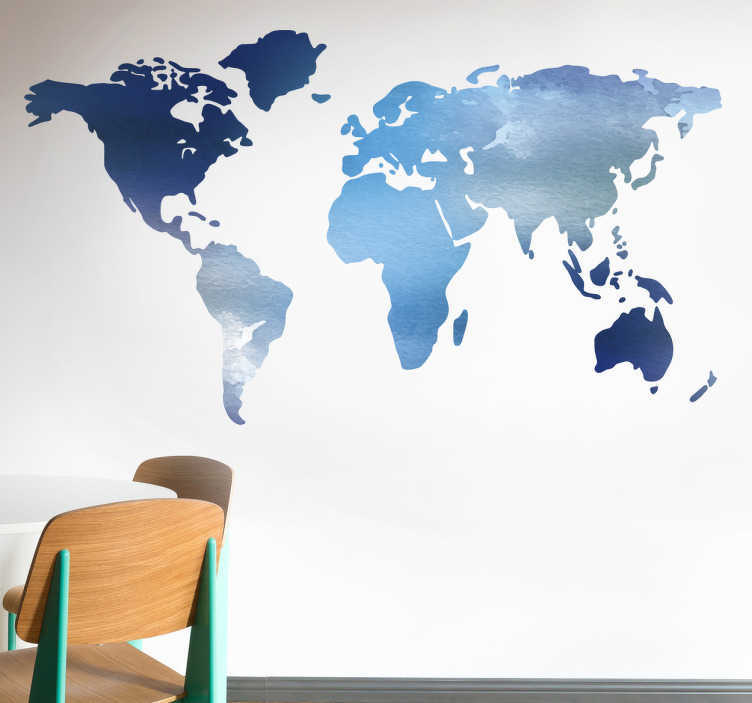 World Map Decals - Unique design of a world map sticker with an amazing blue water colour. From our collection of location stickers. Do you love world map designs? Do you love to travel? Have you been all around the world? Show everyone how much the world means to you with this incredible design. The location decal is made from high quality, anti-bubble vinyl and is easy to apply.